Hide this Project (Devaloke DeCasa) Discover properties in other projects by hiding the ones that doesn't interest you. You won't see them in your searches further but you can unhide anytime later. Hide this Dealer (DEBASISH DEY) Discover properties by other dealers by hiding those whom you have already spoken to. You won't see them in your searches further but you can unhide anytime later. Hide this Dealer (Ashish Roy Barman) Discover properties by other dealers by hiding those whom you have already spoken to. You won't see them in your searches further but you can unhide anytime later. What is the project location?The project is located at Narendrapur, Kolkata South. What is the area of apartments in Devaloke DeCasa? The area of apartments offered in the project ranges from 836.0 sqft to 1358.0 sqft. 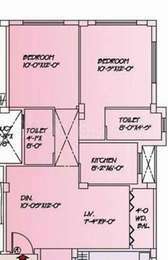 What is the 2 bedroom size in Devaloke DeCasa? 2 BHK units in the project are available in a size of 836.0 sqft to 1049.0 sqft. What is size of 3 bhk in Devaloke DeCasa? 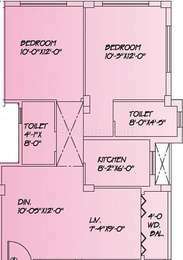 The area of 3 BHK apartments ranges from 1004.0 sqft to 1358.0 sqft. What is total size of Devaloke DeCasa?The project is built over an area of 4.46 Acres. 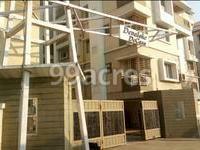 What is total price of 3 bhk in Devaloke DeCasa? 3 BHK units in the project are priced at Rs. 5000000 to Rs. 8500000.
d 13 projects ranging from 6000 sq.ft going upto 31000 sqft. in Garia, Baghajatin and Bansdroni. With time, as we gained more experience we started expanding the business. And then came our most ambitious project till date: DEVALOKE HEIGHTS 80,000 sqft. and DEVALOKE FORT 78,000 sqft. in Sulekha, Jadavpur, which has changed the Sky-line of the area. I invested in Devaloke De-Casa , Kolkata. I got possession on Dec'13. I would like to know the future prospect of this project . Should I remain invested or sell it ? Devaloke De-Casa situated in near Kamalgazi crossing on Sonarpur station road. 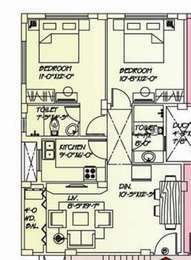 It is 3BHK flat with 1225sqft in size on 3rd floor. Dear Mr. Nirmal Roy, Hope you are now repenting definitely with your flat!!!! devloke has been completely constructed with low grade materials and steel. thats why now each and every owner is suffering from water lickage, water sipping through outside walls and needless to say that the top floor people crying every day during the rainy season for getting water directly to their bed. the same situation with Dream Park, Greenland Park, Kamal Residency, Southern Nook, PS Sonargaon and the newly constructed RDB Sonarpur. all the residents are now cursing the developers. very poor materials, workmanship. only big talks are there with outsiders since outsiders do not understand these problems. All the projects in the sonarpur station road leading to kamalgazi are in a big trouble and the regular maintenance charges are growing day by day. i will not suggest any body to buy flats in these areas since all the old and new promoters and developers have looted the customers. SELLING IS A GOOD OPTION BUT AT THE SAME TIME YOU CAN GO FOR RENT OUT OPTION, AT LEAST IT WILL JUSTIFY THE INTEREST COMPONENT OF YOUR INVESTMENT ! WHENEVER YOU FEEL TO SELL IT OFF OR RENT IT OUT FEEL FREE TO CALL US @ **********, WE WILL BE HAPPY TO ASSIST YOU. whats the price per sq/ft for the develoke de casa project at sonarpur and whats the time of possession?